Luckily for me T likes fly fishing so throughout the year we have quite a few trout dinners…this one was hot smoked and just served with a nice green salad and some lovely fresh bread. 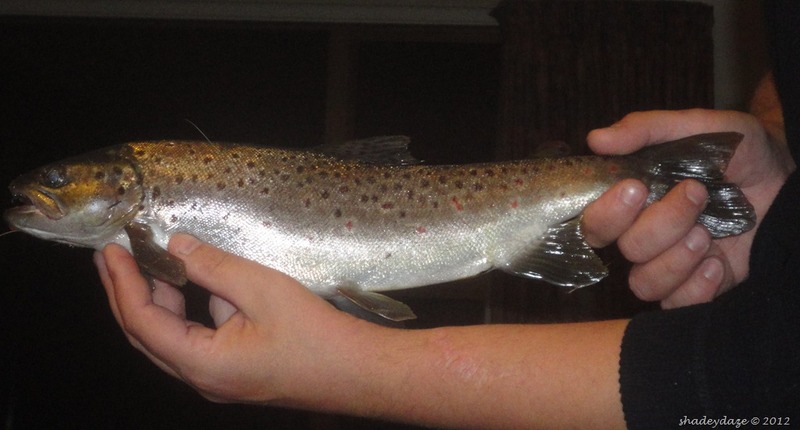 Here in New Zealand you can’t buy Trout so you can only eat what you’ve caught….fortunately hubby is VERY fond of fishing, particularly fly fishing…handy eh? 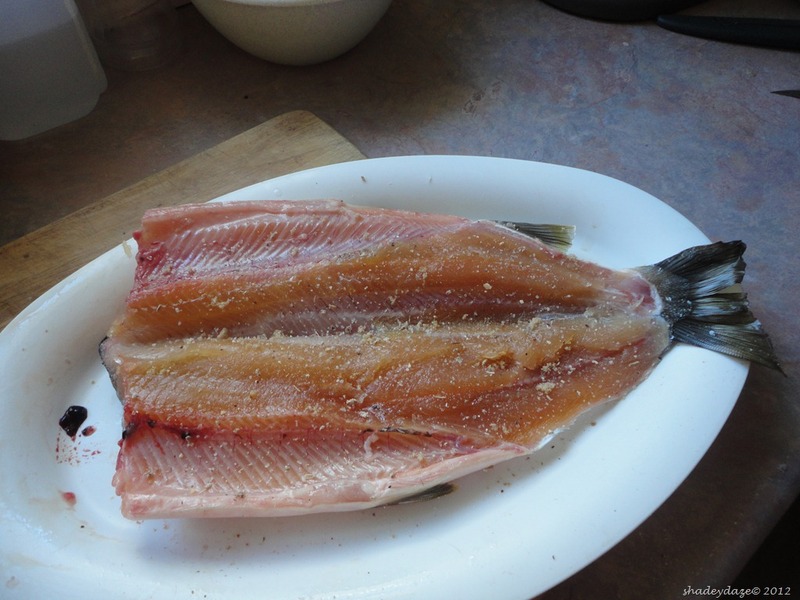 So a little brown sugar, salt, pepper and dill and spread the mix on the fish…into the smoker (we use manuka chips)…about half and hour…done….YUMMY!